NOTE - WHEN PURCHASING FUEL - PLEASE PURCHASE 1 GALLON AND SELECT THE APPROPRIATE SHIPPING SURCHARGE, THEN YOU CAN ADD ANY OTHER THREE GALLONS OF FUEL BY SELECTING THE "ALREADY SELECTED SHIPPING FOR UP TO 4 GALLONS" OPTION. 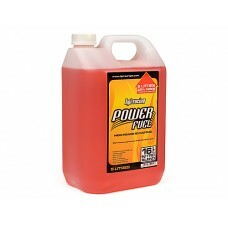 HPI Power Fuel was developed especially for today's RTR nitro engines. HPI Europe chose to work with the manufacturers of the hugely popular OptiFuel line of fuels, the most popular brand of helicopter fuel used by serious competitors in Europe. Each HPI Power Fuel blend uses the same high quality Klotz synthetic oils as OptiFuel Optimix-Race blends. 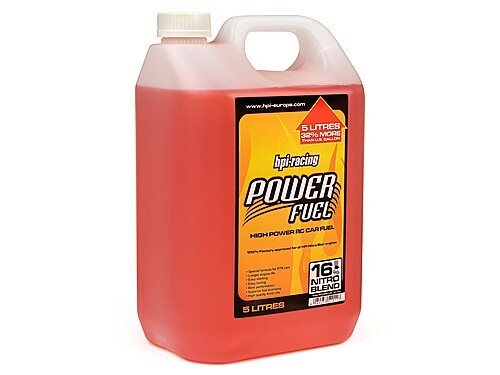 HPI Power Fuel makes starting and tuning nitros engines easy because its specific blend is more tolerant of incorrect settings and of temperature and humidity changes. The consistent burning provides a steady smoke trail allowing car and buggy owners to easily see the effects of engine tuning. Developed by HPI R&D Engineers and based upon Optifuel Race Fuels developed by Graham Alsop, Hot Bodies team driver.